Cosy up your very own private cable car cabin and savour a delectable meal, as you take in the lights and splendour of Singapore's cityscape set against the romantic night sky with Dining on Cloud 9. The perfect way to pop the question, celebrate special occasions, or simply show someone how much you love them; an expert team ensures every detail is looked after to provide an experience they will never forget! 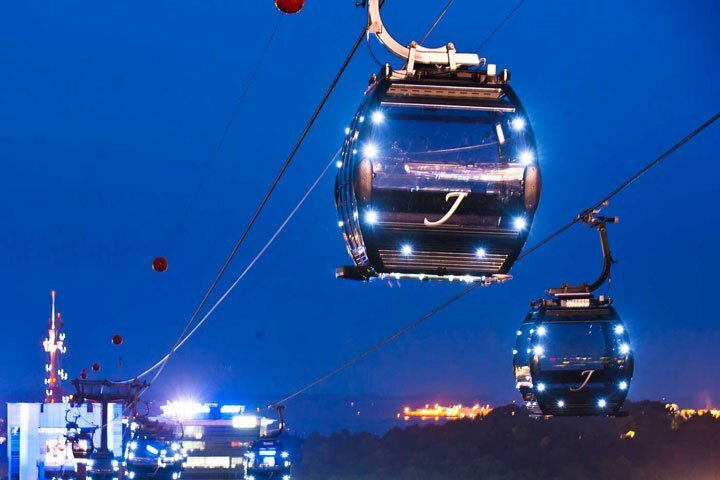 Experience Faber Peak Singapore and Sentosa on the Sky Network! 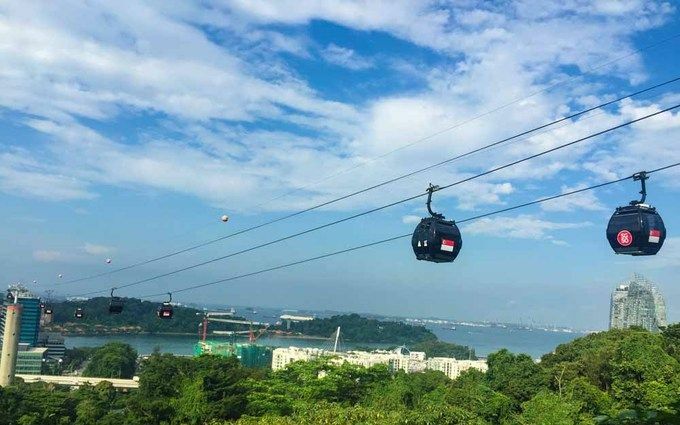 From June 2015, enjoy not one but TWO cable car lines that connect TWO buzzing destinations – Sentosa and Faber Peak Singapore. 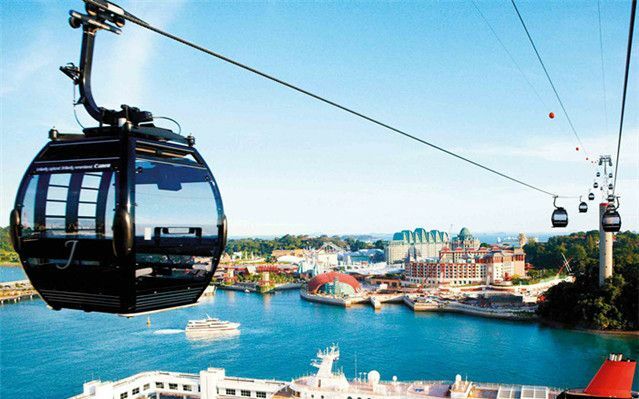 Soar high above the two destinations through the sky on the most scenic highway in Singapore for priceless views. Please note that food from outside (including birthday cakes) are not allowed in the cabin. Sky Dining menu is strictly no pork no lard, 12:00 pm vegetarian menu is available upon request. All additional accompanying persons are required to purchase a round-trip cable car ticket. One-time postponement of Sky Dining experience is allowed. Please contact us latest by 12:00 PM on an intended day for Sky Dining. 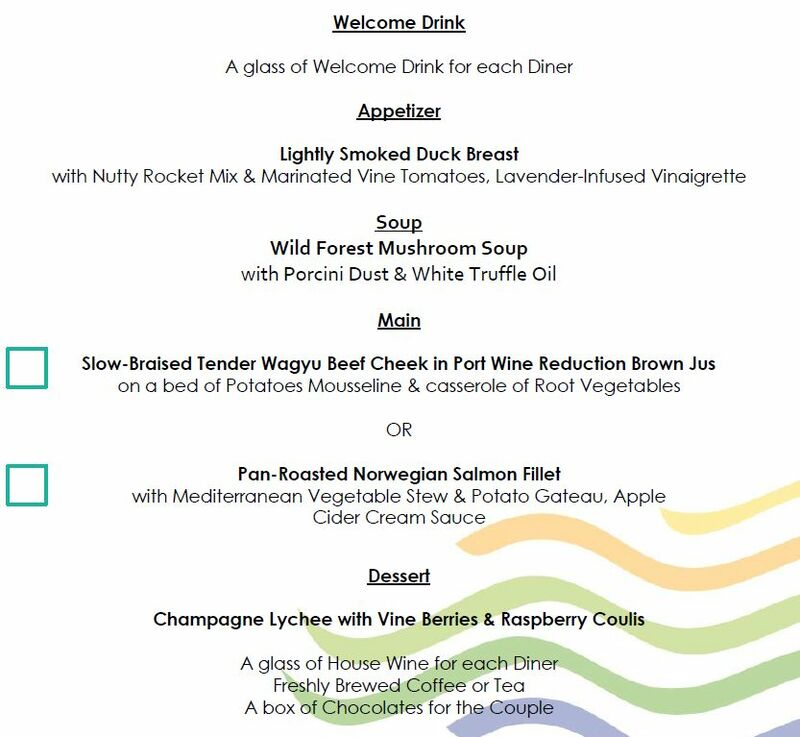 Postponed Sky Dining experience must be redeemed within a month. For your safety, helium balloons and any flammable items, including birthday candles are strictly not allowed in the cabin. Please be arrive earlier for viewing the best sunset scenery (10-15mins before the boarding time). The discounted price is an excellent deal. great experience. took my gf there on Valentine's Day. 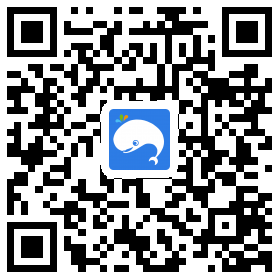 nice place for dating. friendly wgw staff. solve my problems without fuss. The entire Sky Dining experience lasts about 2 hours. Operating hours may be subject to change due to special events, without prior notice. The start point of this dinner is at Mount Faber. If you are arriving via HarbourFront Tower 2, the ticketing counter will provide a complimentary cable car ride from HarbourFront Tower 2 to Mount Faber Cable Car Station.